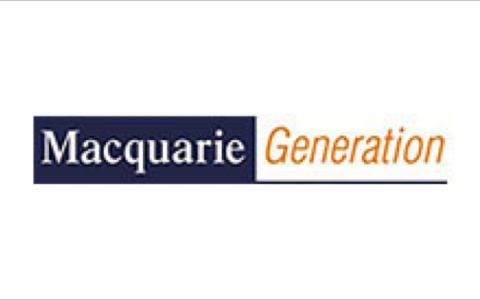 Macquarie Generation is a State Owned Corporation and one of Australia’s largest electricity generators, producing approximately 13% of the electricity needed by people in eastern Australia, and achieving revenues in excess of $1B per annum. Despite a very proud history, major change was on the way. Firstly, the new carbon tax wiped out large quantities of profit overnight. Secondly, consumer demand for electricity was dropping steadily in line with price increases. Finally, there was a government led agenda to privatise Macquarie Generation in order to realise a significant asset value. Russell Skelton was appointed CEO with a mandate to respond to the many forces impacting the business, and to ready the organisation for sale. We joined forces with Russell and the executive team at this critical juncture in the company’s history in order to design and implement a large scale transformation process, and accelerate performance. The first thing we did together was to define a view of the future, shared by all members of the Executive Team. These aspirations were tested for clarity, capability, capacity, confidence and commitment within the organisation. Together, we produced an alignment ‘road map’ that articulated how the organisation could best bridge the gap between its actual state and aspirations. Our next priority was to fully engage and align staff throughout the business to the new aspirations in a highly integrated way. Most importantly, we ensured each individual had a clear view about what to do, and what not to do. At the same time, we initiated a strong focus on leadership – ensuring that the collective and individual impact of the Executive Team was enabling execution of the strategy. Through measurement, regular team and 1-1 coaching sessions, we focused on shifting the impact of the executive team toward increasing levels of effectiveness, and ensuring they were positive role models for the articulated standards of behaviour. We also focused our collective energy on the execution of a smaller number of strategic initiatives, carefully chosen for their cross-company impact. We built a robust architecture of meetings to support this work and ensure initiatives were seen through to completion. Finally, we expanded the focus on leadership impact to a wider group of leaders within the organisation in order to build real momentum for change. In a short space of time, leadership effectiveness, employee engagement, meeting effectiveness, strategic initiative implementation and employee commitment all increased significantly. Through our shared efforts on transformation and alignment, the NSW Government was able to realise a premium sale price, at the high end of asset value expectations. “My experience with TAP was the best experience I’ve ever had with a consulting firm. They made a huge difference to Macquarie Generation, to the leadership team, and to me personally. TAP enabled us to achieve a major increase in our leadership effectiveness. They proved invaluable in the development of an excellent strategic plan. Their approach produced a clear way forward to improve performance, and a leadership team who were all enthusiastic about making it happen. They helped us tell our story in such a compelling way that ALL of our people were committed to the plan. TAP provides top drawer service. They are always available and everything is done to the highest standard of excellence. They deliver on their promises and operate with high levels of integrity – you can trust them completely. TAP is unique because they actually know how to improve the effectiveness of a business, they really care about helping you succeed, and they treat you like a valued friend.